This is the highest volume slush and cocktail freezer available! 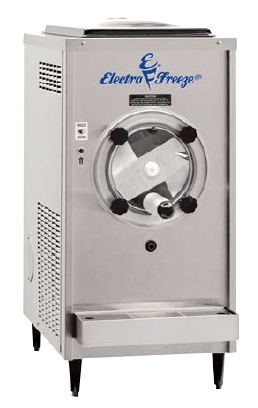 Fast, easy, portion-controlled, labor saving frozen beverages from a machine that will last! Syrup racking with 5 bottles provides flavor options while running a neutral or core base flavor. Provides a consistently smooth frozen product. This floor-model frozen beverage freezer is designed to serve high quality fast, easy, portion-controlled, labor-saving slush and smoothies. Simple to operate and easy to clean. Youth baseball venues, ice cream stores, fun parks and more. Run a neutral or core flavor and increase your flavor options with the 6 syrup bottles provided the rack. with the sale of frozen beverages producing large pofit margins. 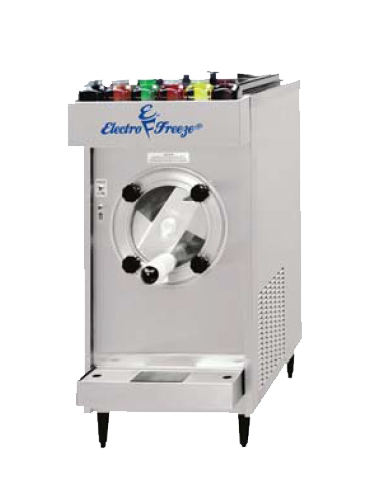 This compact, counter-model frozen beverage machine offers the same high-quality smoothies & slushes for operations that require lower volume. with the sale of frozen beverages producing large profit margins.